The Iyengar style of yoga provides a comprehensive framework for beginners learning yoga for the first time. This very structured introduction ensures that a solid foundation is established. As a result, more meaningful and consistent progress can be made, allowing the individual to reap more of the benefits of yoga. This article gives a brief introduction to what some of the benefits of yoga are. It also examines how Iyengar Yoga is taught to complete beginners. You will find out what to expect from an Iyengar beginners course and how this translates with YogaSelection online learning. The benefits of yoga can be broadly conceived as being physical, psychological and spiritual. Most people are familiar with the manner in which yoga improves flexibility and increases muscle tone and strength. In order to achieve this there is a high degree of mental focus and concentration required. Hence regular yoga practice also develops this capacity. Yoga teaches techniques for becoming more aware and mindful of your physical and mental state. Becoming more aware of your stress levels is the first step towards being able to reduce them. Yoga provides the individual with methods and techniques for letting go and relaxing. With regular practice, baseline levels of stress become lower and sleep quality is often improved. Yoga is a very useful tool for athletes and active people. It can protect against injury and assist with recovery from intense physical exercise that might tighten and strain the muscles and joints. More global benefits include improved balance, increased energy, improved confidence, a more positive self image and a general sense of wellbeing. The benefits of yoga are also being increasingly realised and acknowledged in the medical world. Yoga has been the focus of research for some time and has been recommended by health professionals for a range of reasons. These include psychological difficulties such as anxiety, post traumatic stress disorder and depression. Yoga is also increasingly being recognised as a beneficial intervention for chronic back pain sufferers. Why Should A Beginner Choose Iyengar Yoga? With so much to gain, it is important to build your yoga practice with the right framework and support. If there is no structure with which to learn a yoga system, early feelings of inspiration can start to taper off, with a sense that the classes are not really leading anywhere. This can also occur if an individual is rushed too quickly through the beginner stage without being given a thorough introduction to basic concepts. The Iyengar approach focusses intently on the experience of the complete beginner. It stresses the importance of providing a series of structured, staged classes that are designed specifically for the purpose of safely introducing each student to the subject. This provides a strong foundation for further exploration. Leave your preconceptions behind. Don’t expect that you will be learning about the theories behind yoga in your first class. More than likely your head will be racing enough as it is. Paying attention to your body in the present moment will be your primary focus. Yoga stimulates the body and calms the mind. This is achieved at first by intently focussing on, and becoming more aware of your body. Your starting point will be what the soles of your feet feel, not what your head thinks. You will learn how to balance your weight evenly on your feet. From there you will start to strengthen your legs so that they more effectively lift and support your spine. You may find in these early classes that pre-existing discomfort in your lower back starts to ease. This can be simply as a result of standing more upright and taking unnecessary strain off your back. The experience of feeling more open in your chest can have a significant impact when learning yoga for the first time. Many people arrive with this part of their body closed off. Yoga will very quickly make you aware of this and give you the means to correct it. It can feel empowering and often is a significant emotional experience. This sort of first hand experience of the transformational power of yoga becomes self-reinforcing and paves the way for regular and consistent practice. This increasingly leads to a greater sense of health and well being. Your first 5 lessons will revolve mainly around standing poses. These poses are chosen because of the corrective effect that they have on the body. They will strengthen areas that need strengthening and open areas that need opening. As a result it is likely that your posture will start to noticeably improve. This change is something that you can feel but also something that others can see. Friends and family might start to observe how you sit without slouching, or appear taller when standing. To build on these changes new poses are added to the beginners course. You start to learn seated poses to help improve mobility in your knees, ankles and hips. You will also explore poses that help to unlock stiffness in your shoulders and wrists. This gradual development will continue throughout the entire beginner course. It grows as you grow. New poses are added at appropriate stages where you are ready to progress. In the latter part of the course you are introduced to the energising backbend poses. From there the therapeutic effects of inverted poses are explored. Eventually, observing your breath in restorative poses will help you to discover deeper layers of releasing and relaxing. By the end of the beginners course you will have a strong grasp of all of the main categories of yoga poses. What Are The Benefits Of An Online Beginners Course? Online yoga is revolutionising the way yoga can be taught. Never before has beginners yoga been so affordable, accessible, and convenient. With YogaSelection you get a month of unlimited classes for around half the cost of a single studio class. You are free to practice at times that are most convenient for you, and you are able to take your yoga classes with you wherever you go. There is no limit to how much you can practice. Online yoga classes enable you to consistently attend a course, even when you have a busy lifestyle. You can do it at a time and pace that suits you, on your terms. With the momentum of more regular practice you will find that yoga is more easily incorporated into your daily routine. This is when yoga is most effective in bringing about transformation. 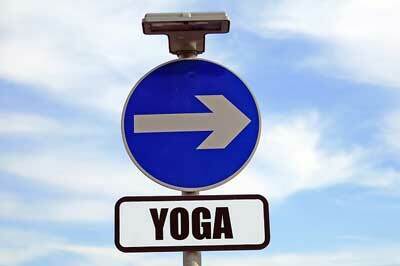 YogaSelection has a comprehensive beginners section. Across four beginners courses you have access to 18 classes that systematically map out a path for you to progress from complete beginner to intermediate level. Each class is designed to bring together key poses and concepts that highlight a distinct stage along the path. You have the freedom to progress at your own pace. When you feel that you have comfortably grasped what one class has to offer, then you are ready to move onto the next one. The classes can be repeated as needed. This will help to reinforce the foundational principles and maximise your benefit. You may find that moving more slowly through the classes actually hastens your yoga progress. The comprehensive structure of an Iyengar Yoga beginners course cannot be overlooked when you first start yoga. Certified teachers are trained specifically in how to guide you through this formative stage. They are able to make the benefits of yoga safely accessible to you as an individual, regardless of age or physical ability. In todays digital age the reach of yoga has never been greater. Innovations in technology have transformed the ways in which yoga can be learnt. Take advantage of this exciting time to access the benefits of Iyengar Yoga for yourself. Learn Iyengar yoga online with expert guidance. Stream unlimited Yoga Selection classes and build a home practice that gets results.